During 1915, the British and French undertook a series of unsuccessful attacks against the Germans on the Western Front. Apart from their one offensive at Ypres in April, the Germans spent most of the year on the defensive. But for both sides it was a tough learning experience. By the end of 1914, the Allies and the Germans had established themselves in a line of trenches running from the Channel to the French-Swiss border. 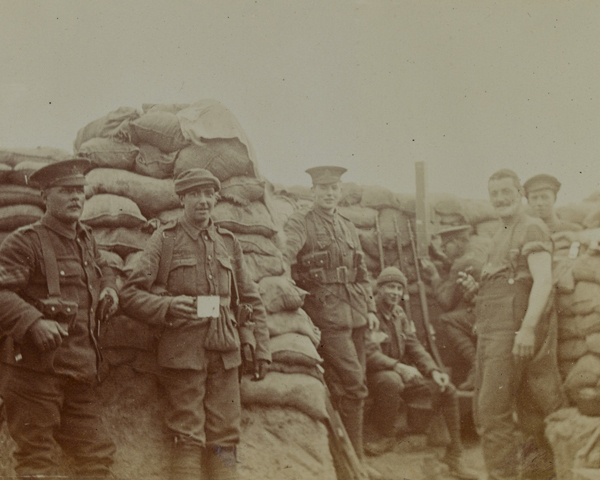 Until March 1915, artillery exchanges, sniping and mining operations were the main activities on the British Expeditionary Force’s (BEF) front. As both sides settled down for the first winter of the war, the weather proved harder to contend with than the enemy in some sectors. 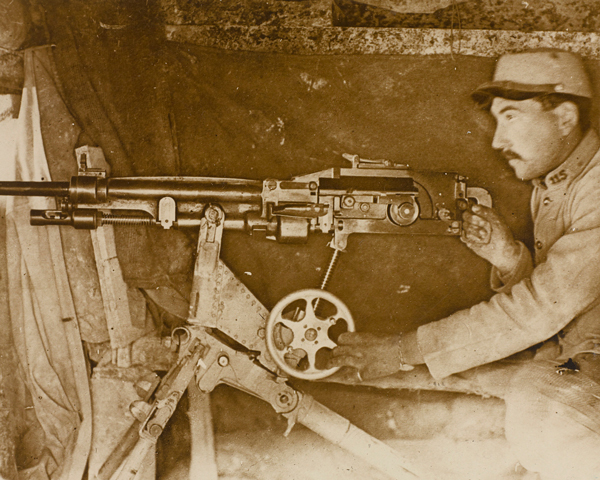 Artillery bombardment rapidly destroyed trenches, which had been built quickly and tended to be simple affairs. The bad weather and the destruction of pre-war drainage ditches also led to widespread flooding. But no matter how cold or wet they were, the soldiers had to remain in the line. The first major British offensive of the First World War took place on 10 March 1915 when they attacked the salient around the village of Neuve Chapelle, midway between Bethune and Lille. The assault was undertaken by General Sir Douglas Haig's First Army, with Lieutenant-General Sir Henry Rawlinson's IV Corps on the left and General Sir James Willcock's Indian Corps on the right. Although the initial artillery bombardment was too light to entirely disrupt the enemy defences, the first phase of the infantry attack went well. The soldiers rapidly gained the German front-line trenches. By nightfall Neuve Chapelle had been captured. Unfortunately, there were delays in sending forward further orders and reinforcements. The initial gains were not exploited and a German counter-attack prevented further progress. 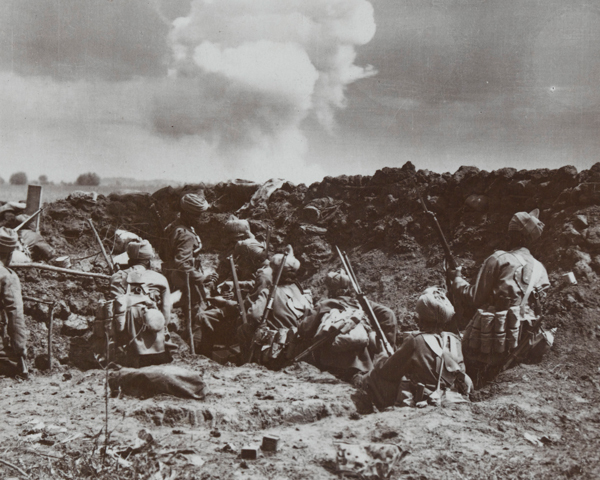 After three days of fighting, a small area of land had been gained at a cost of over 7,000 British and 4,000 Indian casualties. The offensive showed that although it was possible to break into the German positions, it was not so easy to convert local success into a major breakthrough. It also showed that a heavier artillery bombardment and better communication were needed. After the battle, the British Commander-in-Chief, Sir John French, blamed the attacks's failure on the lack of available shells. This led to the 'Shell Crisis' of 1915 and the collapse of Herbert Asquith's Liberal Government. A new coalition government was formed with Lloyd George as Minister of Munitions. The creation of this new post was recognition that the whole economy would have to be geared for total war if the Allies were to prevail on the Western Front. On 22 April 1915, the Germans attempted to capture the Ypres Salient, a bulge in the Allied line surrounding the Belgian town of Ypres. They used poisonous gas for the first time, exploiting the latest in scientific weaponry in the hope of breaking the stalemate. The release of chlorine gas opened a hole in the line four miles (7km) wide. 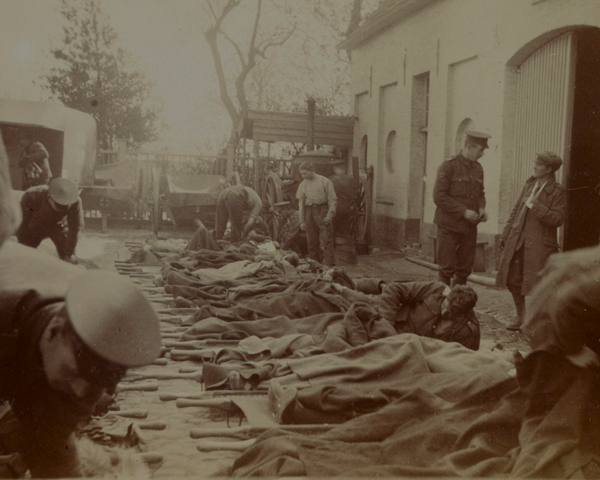 The effect was devastating and the stunned Allied troops fled in panic towards Ypres. 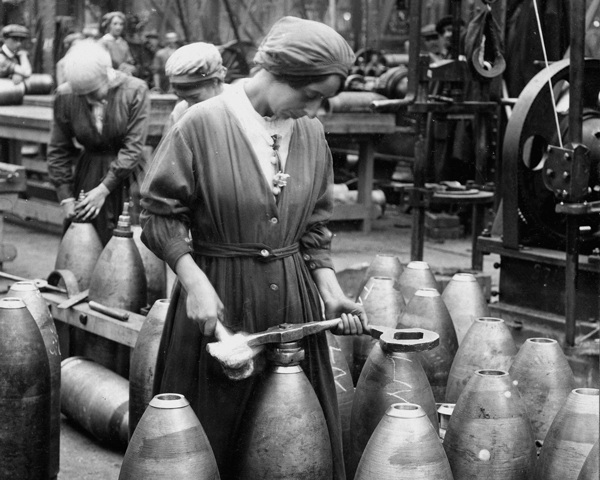 Over 10,000 men were gassed; around half of them died that day. However, the German High Command had underestimated the effectiveness of gas in bringing about a breakthrough. As a result, insufficient reserves were made available to exploit the gap created by the gas cloud and support the infantry units that had followed it. After advancing about 1.5 miles (2km), the Germans were checked by a hastily arranged counter-offensive. The fighting raged on at Ypres until 27 May, with repeated use of gas. The Germans did not break through, largely thanks to the Canadians. But they reduced the size of the Allied salient. There were nearly 70,000 Allied and 35,000 German casualties during the battle. 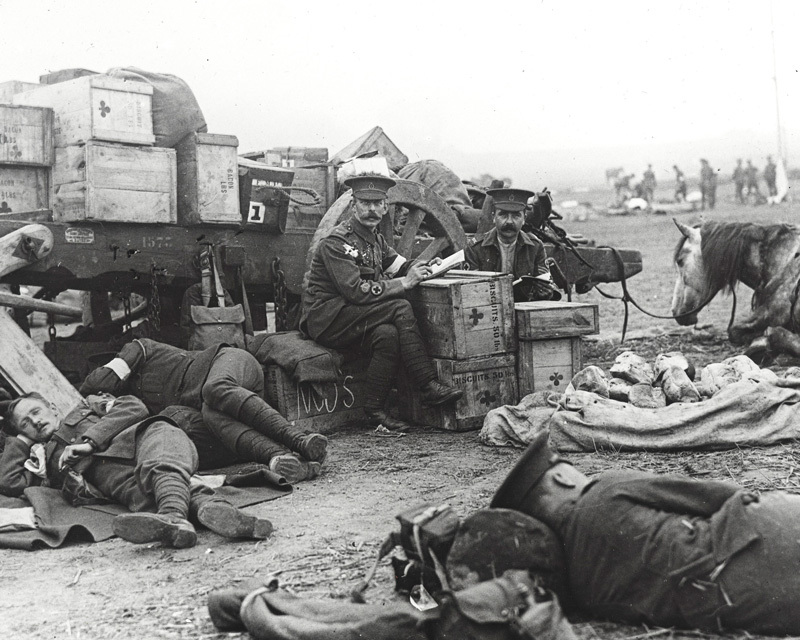 On 9 May 1915, the British made a two-pronged attack on the German line in support of a French offensive at Artois. The southern thrust - consisting of the Indian Corps and British I Corps - aimed towards Aubers Ridge. IV Corps, three miles (5km) to the north, headed for Fromelles. However, the artillery barrage was too light and inaccurate. There were delays in sending forward reinforcements, and much of the German wire remained uncut. 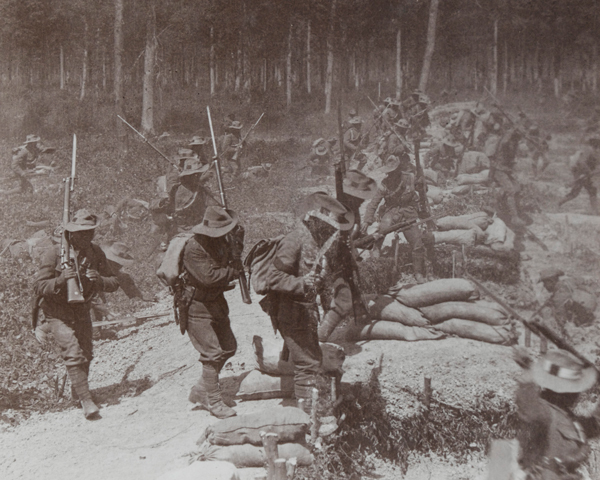 By the following morning the British had been forced back to their start line, having suffered 12,000 casualties. On 15 May 1915, the British shifted the focus of the offensive southwards to the German positions near Festubert. Under the cover of darkness, the attacking divisions made some progress, but the barrage had failed to significantly damage the German lines. 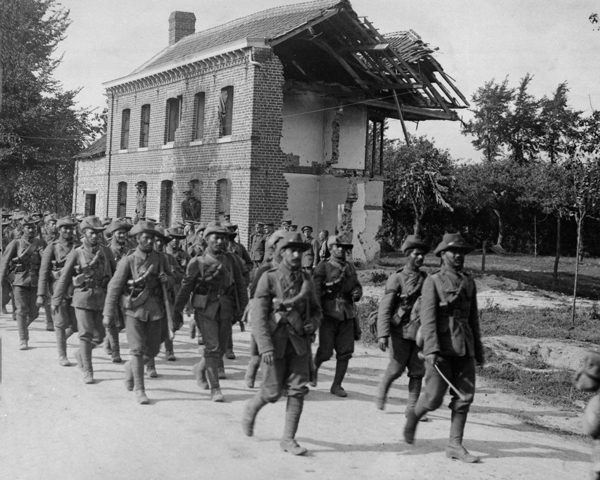 Although Festubert was captured, the British and Indians suffered around 16,000 casualties before the offensive ended on 25 May. On 25 September 1915, the Allies launched a new joint attack. The French went on the offensive in Champagne and Artois. 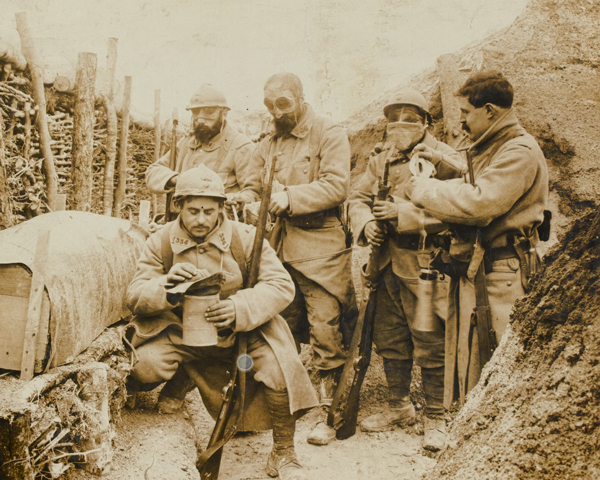 The British fought at Loos, where they used chlorine gas for the first time. 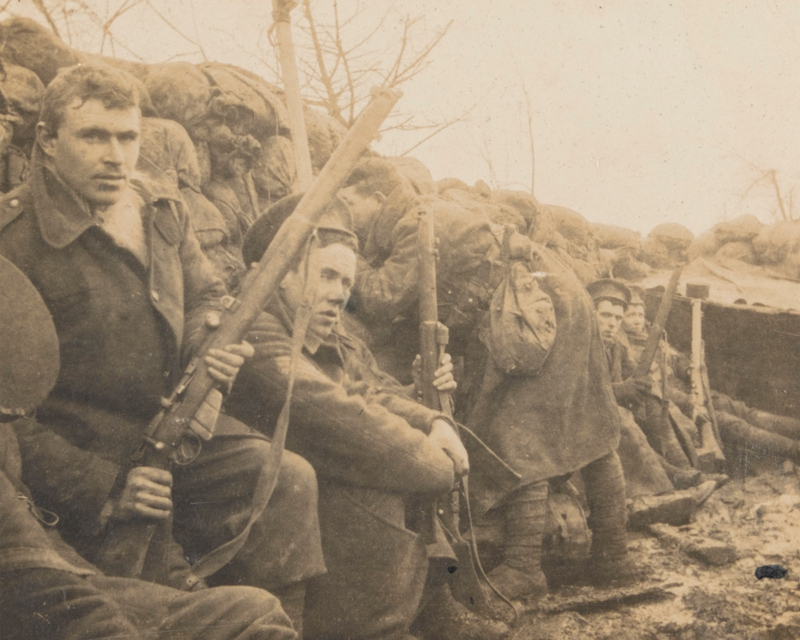 Despite heavy casualties, by the end of the first day the troops had succeeded in breaking into the enemy positions near Loos and Hulluch. Supply and communications problems, along with the late arrival of reinforcements, meant that the breakthrough could not be exploited. The attacks ground to a halt and by 28 September the Germans had pushed the British back to their starting points. The battles of 1915 showed both the Allies and the Germans how difficult it was to break through on the Western Front. In most battles, the British and French had around a three-to-one superiority in men and artillery. But, although the German defenders gave ground, they did not break and were often able to retake some of their lost positions. Both side drew lessons from this, the results of which would be demonstrated in the huge attritional struggles of the following year.